Hibiscus for One and All!!! I had a call from a customer the other day....... from his cell phone,” I just passed by a huge red flower, really huge, what is it? 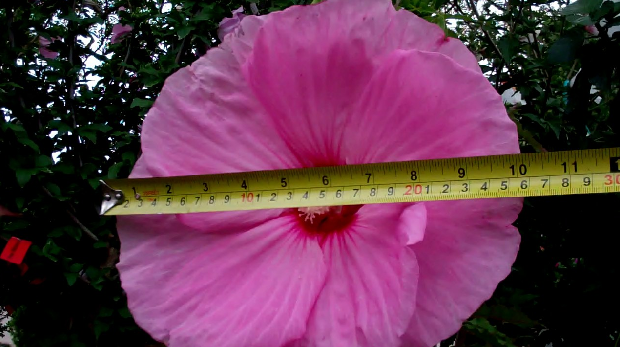 So big, I had to call”….I knew right off the back that it was a hardy Hibiscus! At this time of the year I get questions about hibiscus all day long. 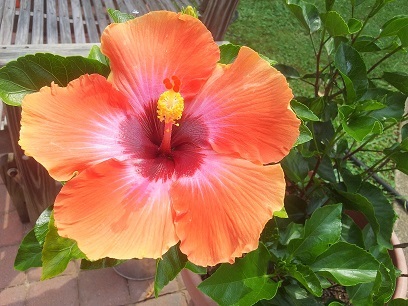 This is hibiscus glory time! 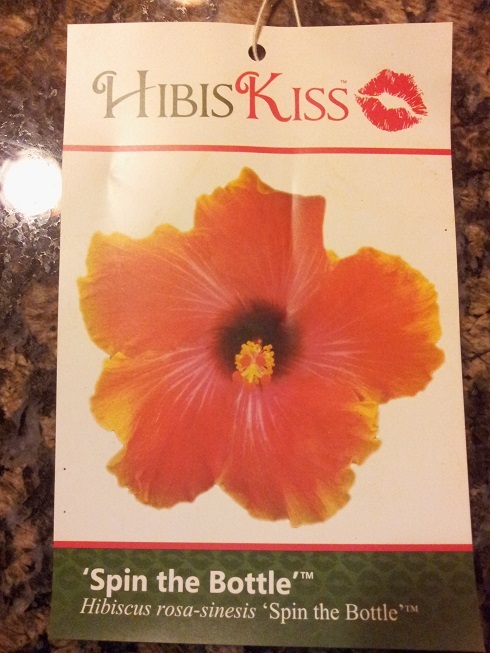 !There are several cultivars of hibiscus; some people find this a bit confusing. 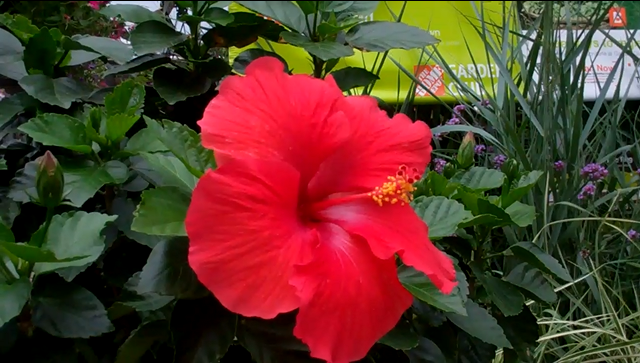 I will try now to answer some of the questions I get time and time again in the aisle of The Home Depot garden department. 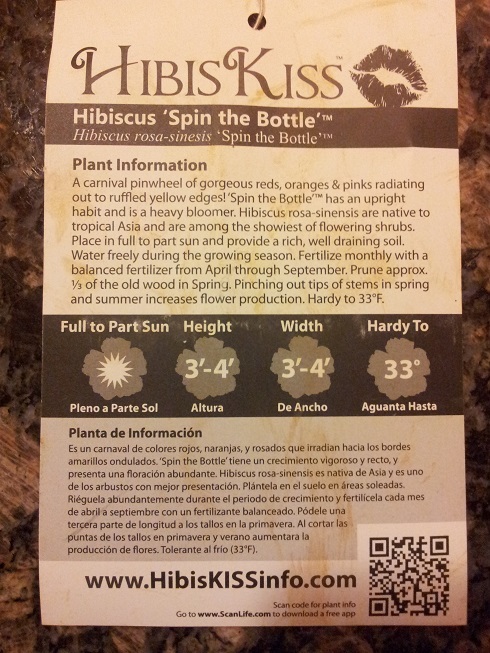 First I would like to address the “tropical hibiscus”. This plant comes in bush and standard form; there is a beautiful, braided stem standard variety, available. 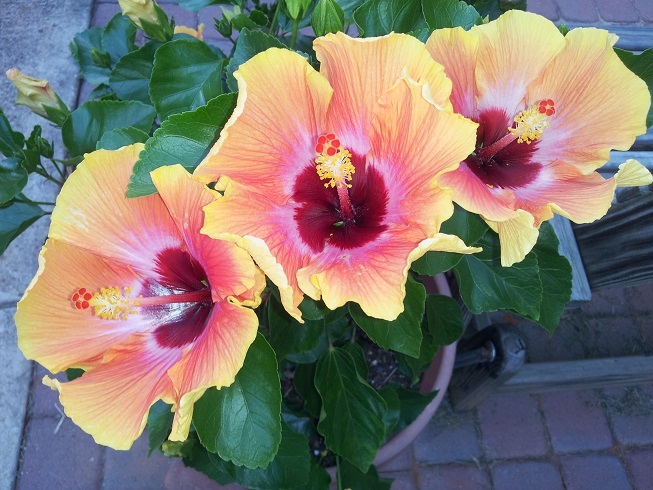 These amazing sun loving plants are profuse in blooms, available in gorgeous tropical colors from deep, rich reds, pinks and coral to pale yellow. Truly tropical, surviving in climates that dip no lower than 40 degrees (f). We worship them here in the northeast, in planters, on patios, porches, decks and doorways, all summer long!! These tropical plants do not survive a winter if left out doors, unless you are in the tropics. 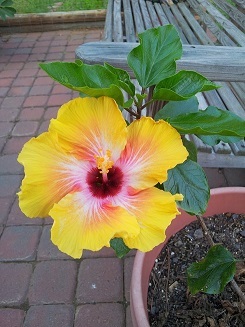 I get quite a few call in the spring from customers asking why their Hibiscus look dead...it is because they are dead. 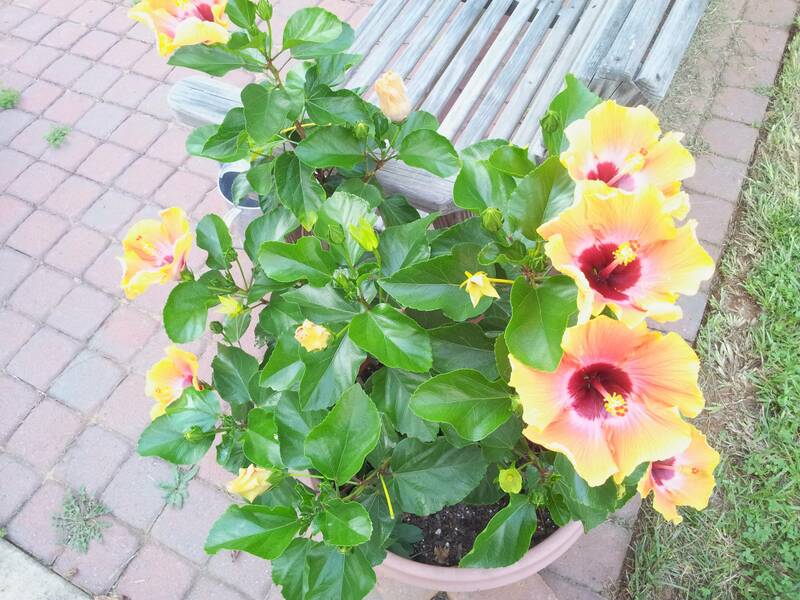 The customer bought a tree form tropica, or a bush form tropical hibiscus and the plants died in the first frost. 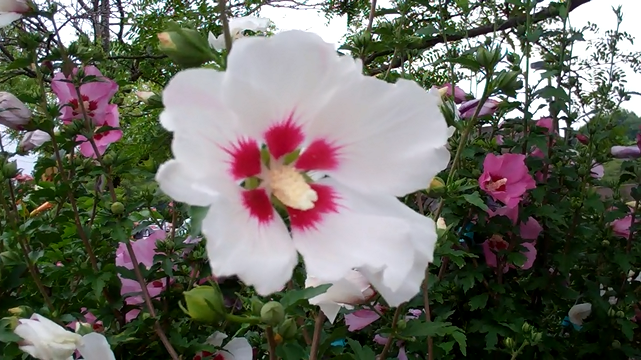 The Rose of Sharon “Althaea” hibiscus is a late summer bloomer. It has an upright growth habit that can reach up to 15 feet tall. The shrub can become covered with a multitude of 5inch flowers up and down its long, thin woody branches. The colors range from white, white with a red throat, to shades of lavender, pinks and blues. 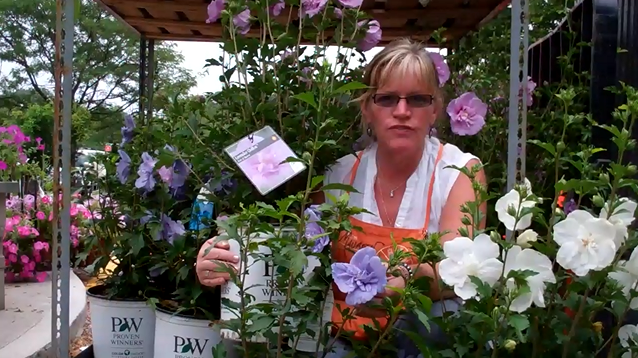 Home Depot now sells the amazing” proven winner” series with varieties that have double blossoms, they are “Spectacular”! These great performers survive temps below freezing! Rose of Sharon bushes look like they are right out of the Victorian era, they have great garden presence because of their height and gracefulness . This beautiful summer/fall bloomer is hardy to zone 5. 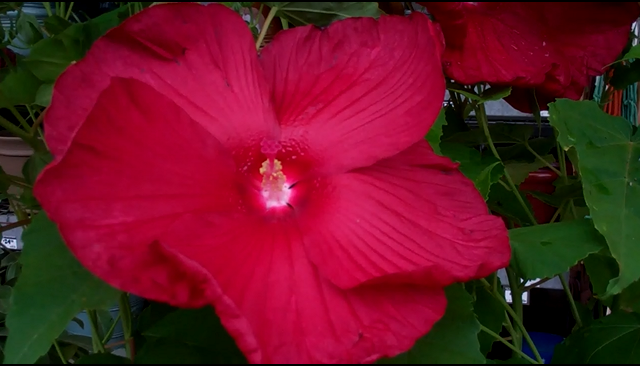 The show stopper is….the hardy hibiscus, rose mallow, this is a herbaceous perennial. No remnants at all during winter months, but during late summer this glorious beauty takes center stage!! It reminds me of the crape paper flowers I made as a kid. The plants beauty is all consuming, they are a marvel…but the blooms are here today and gone tomorrow. The bloom time last for weeks and weeks, different cultivars at different times, what a procession! The plant starts to pop its head up through the soil at the end June into July, you may think they are not coming back…but they do! They are so worth the wait! 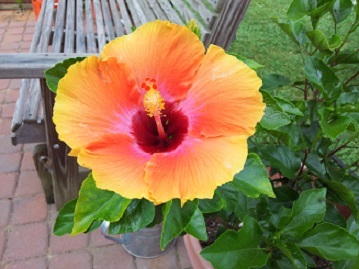 I want to share some pictures of the tropical hibiscus that I overwintered last season. The variety is HibisKiss, "Spin the Bottle". I think they aptly named it because the colors will vary from day to day and hour by hour. All of these pictures are of the only plant that I have, and they were all taken this season. This is the first bloom in the spring, in March, right out of the garage. Subsequent blooms became darker, with rich red colors in the morning, giving way to orange and yellows in the afternoon. These three images are of the same bloom, on the same day. 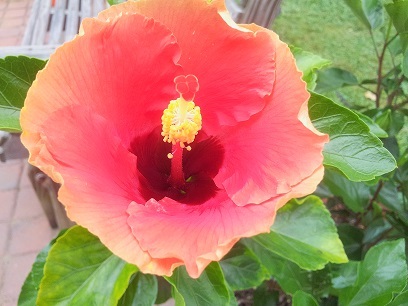 July was HibisKiss' time to strut. Great plant. 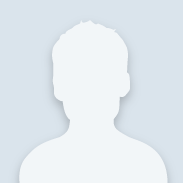 Great post, Mo.